American college students are constantly pestered by their schools and the media to exercise their right to vote, but many students still view their vote as worthless and ineffective. This sentiment, now more than ever, couldn’t be more wrong. When you have multiple polls showing the Texas Senate race between Ted Cruz and Beto O’Rourke have differences in the single digits, that’s an indication that every vote will matter in the Nov. 6 election. Many of these surveys are taken by registered and likely voters. It’s looking like the red state of Texas could be feeling the blues. What Americans need to know about voting is that it simply isn’t enough to go to the polling station and cast a ballot. You need to be an informed voter to survive. Relying on social media and non-credible sources for candidate info is the best way to stay misinformed. Voting straight-ticket Republican or Democrat without knowing the candidates and issues does your country a disservice. 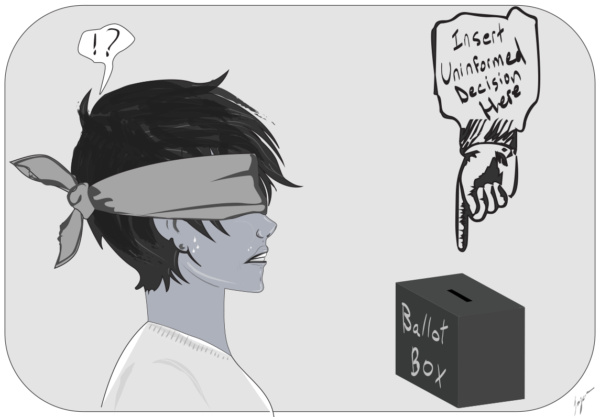 Being an informed voter can be difficult. Time must be dedicated to doing research on stances and reputations. In today’s one-click-away world, there’s always some distraction keeping the average American from voting or making an educated vote. While there isn’t a definitive way to know everything about every candidate, we recommend some simple methods you can use to stay educated without losing too much of your precious time. Scour the internet to find a candidate’s website. These websites will almost always provide you with a candidate’s stances on important topics. They’ll also provide other means of contacting the candidate. If you can’t find any information about the candidate online, that should be the first of many red flags. Consider attending a campaign event scheduled for your community. If you can’t be physically present at one, you can always participate by phone or internet. Besides the internet, an easy way to find out about campaign events is to visit your local library. Voters in the upcoming election can visit Congress.gov to dig through an incumbent’s voting records. This also shows what issues they focus on, making it easy to develop an idea of the incumbent’s motives. If you’ve acquired the contact information of a candidate that interests you, don’t just hand them your vote on Election Day. Contact them to speak with the candidate or a representative to get any questions answered.